I guess we know what her cryptic social media post was all about. 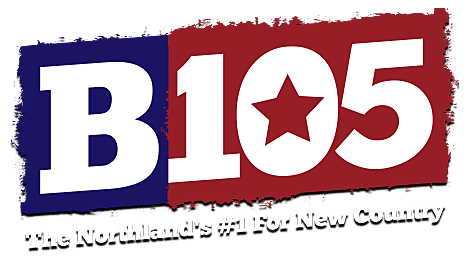 B105 is proud to welcome a brand new event to Bayfront Festival Park that will bring several country stars to Duluth for one full day of great music. A sold-out crowd of fans enjoyed a night full of country music, with Jameson Rodgers and LANCO joining headliner Luke Combs on a snowy night in Duluth. We're ready to pay local listeners cash and to party with the B105 Free Money Payday! You can win Payday Party passes every weekday and at least $500 every Thursday morning. "We are on the way Duluth." Here are some tips on parking at the venue so you don't get stuck in traffic congestion. The Minnesota State Fair Grandstand is getting a night of country music superstars. Trace Adkins, Clint Black, and Terri Clark will be performing on August 25th at the State Fair. Tickets have become available for both Garth shows at U.S. Bank Stadium! Get the details here. Here's the password to take advantage of this great deal!